Fill-Rite offers a full range of positive displacement TS Oval Gear Meters with weights and measures custody transfer accuracy for the measurement of a wide range of fuels, heavy oils, glycols, lube oils, and petro-chemicals. 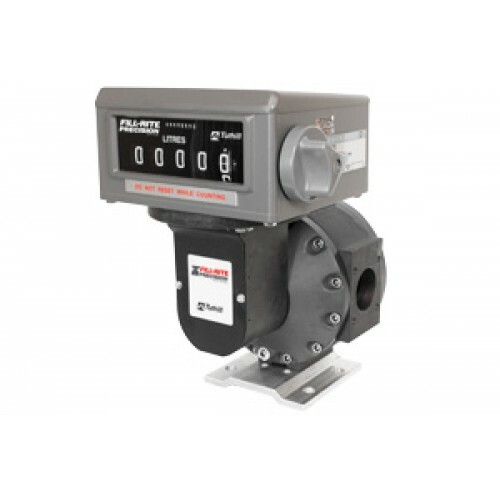 These meters are able to handle the pressure and maintain their accuracy due to the use of only two oval gears eliminating metal-metal contact, fewer seals, low differential pressure, and less slippage due to the patented wave form gear design. The TS Series is well suited for use in fuels process / transfer, high speed batching and loading, tank truck meters, LPG systems, stationary dispensing, industrial and petro-chemical refining / processing. Combined with a mechanical register, printer, or solenoid batching, it is possible to build an application specific system that delivers performance, accuracy, and easy maintenance making the TS Series the intelligent choice.